cfc wrote: ^Perhaps the "creepy elf experience" is an upcharge. TPR should come back and get ERT. My trips didn't include just amusement parks. My next two stops were a carnival and a zoo. I don't discriminate against any establishment containing a roller coaster. 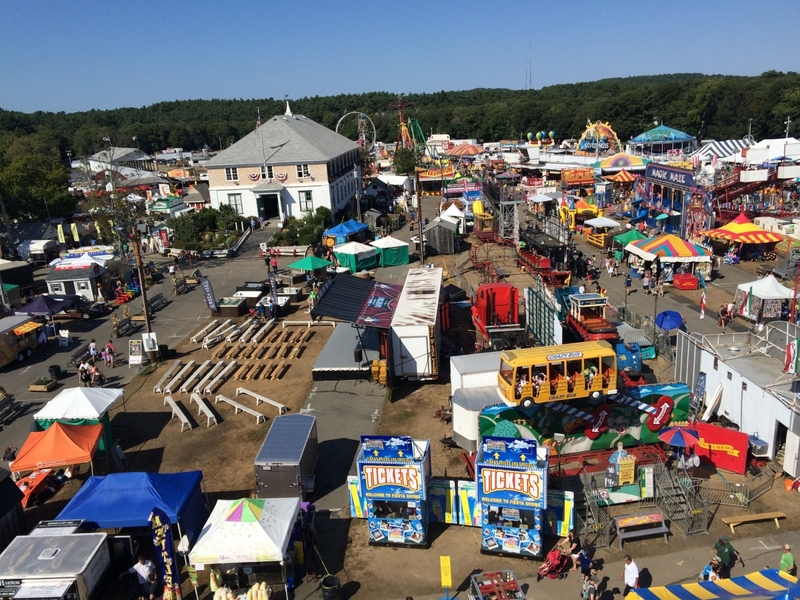 This update covers the Marshfield Fair, one of the largest carnivals in Massachusetts. 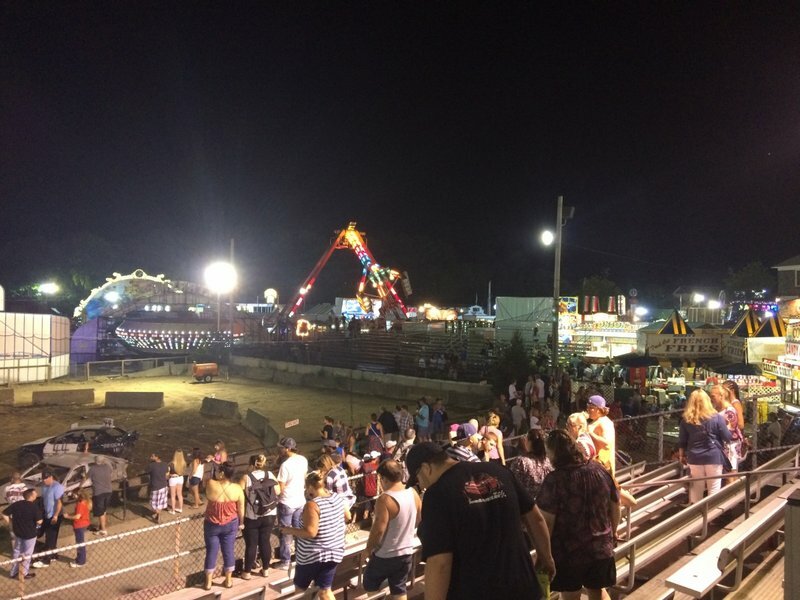 It had been several years since I had been to the Marshfield Fair, but it was just as I remembered- a massive midway of flats, rigged carnival games, artery clogging food, farm animals, and a satisfying demolition derby. Fiesta Shows provided the midway like most carnivals I've come across in Massachusetts. 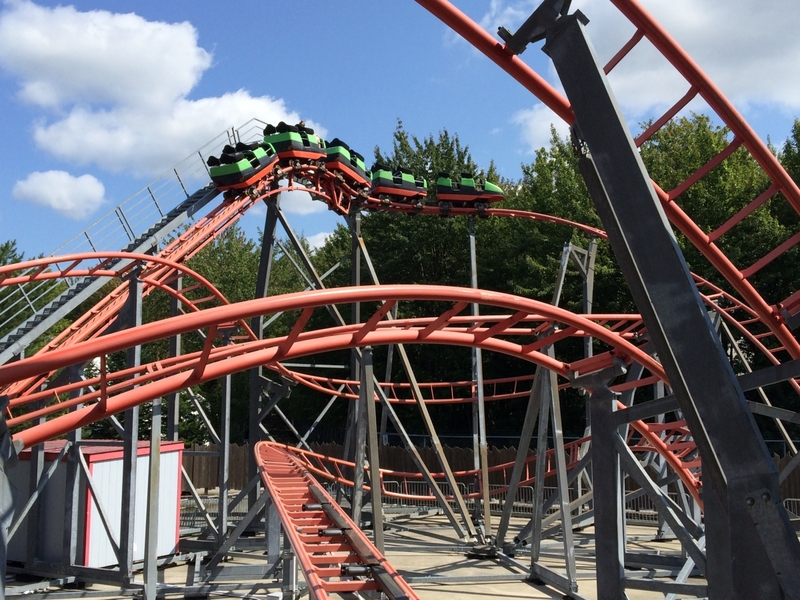 They have some large flats such as the Fireball (which of course they consider a coaster), Zipper, Freak Out (frisbee), Vertigo (mini star flyer), and multiple himalaya-style flats. 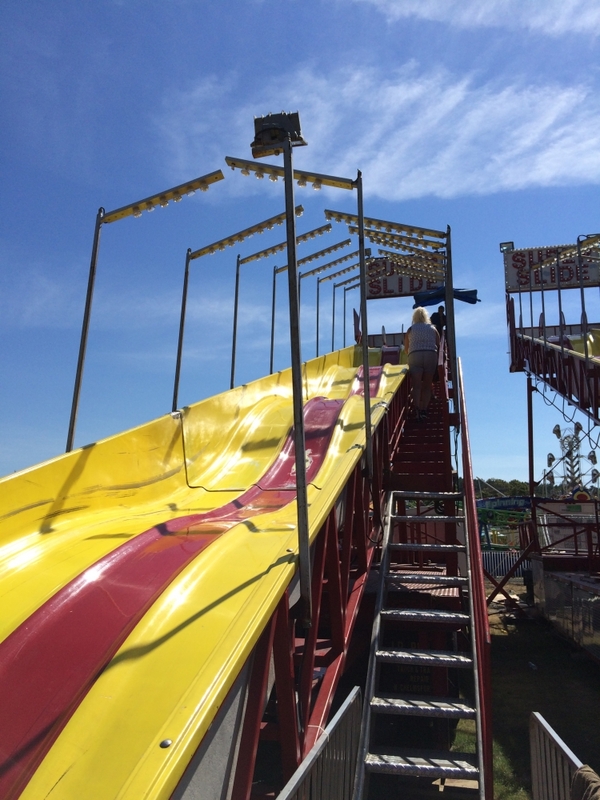 Unfortunately, the flume didn't make an appearance this year, which would have been much appreciated on the 90 degree day. As far as coasters, they had a mini Orient Express (I got that credit when I was 3 so I was all set haha) and their brand new SBF Spinning Coaster. 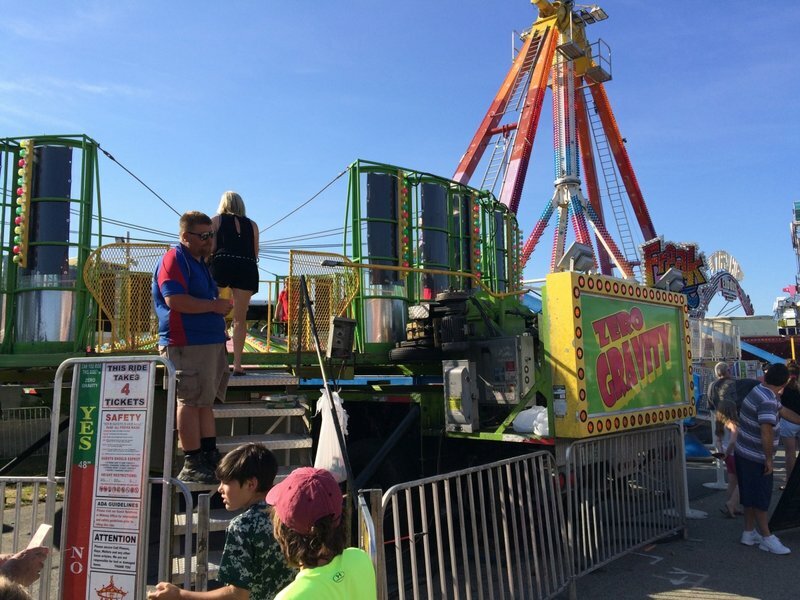 They were having problems with the Spinning Coasters as the lift motor kept overheating, so they had to run the ride at half capacity for a chunk of the day. When it was running, it was a pretty fun ride. I just wish Fiesta had a larger coaster to round out their midway. 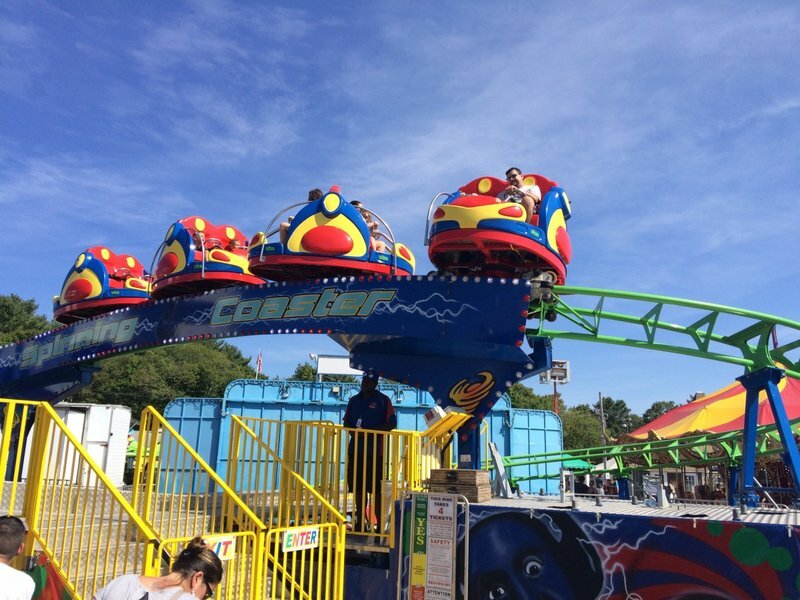 They used to have one of those Fabbri Pole Position spinning coasters, but they had problems with it and got rid of it. 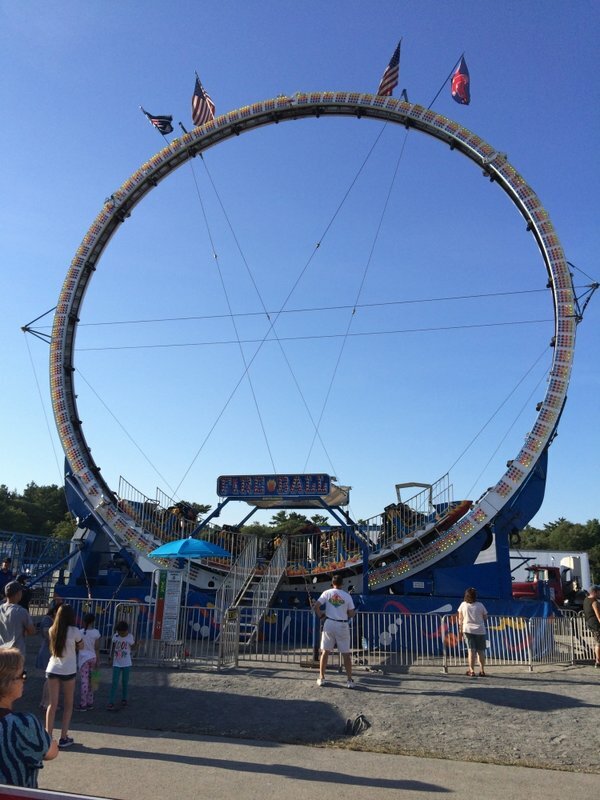 Marshfield Fair 2016! 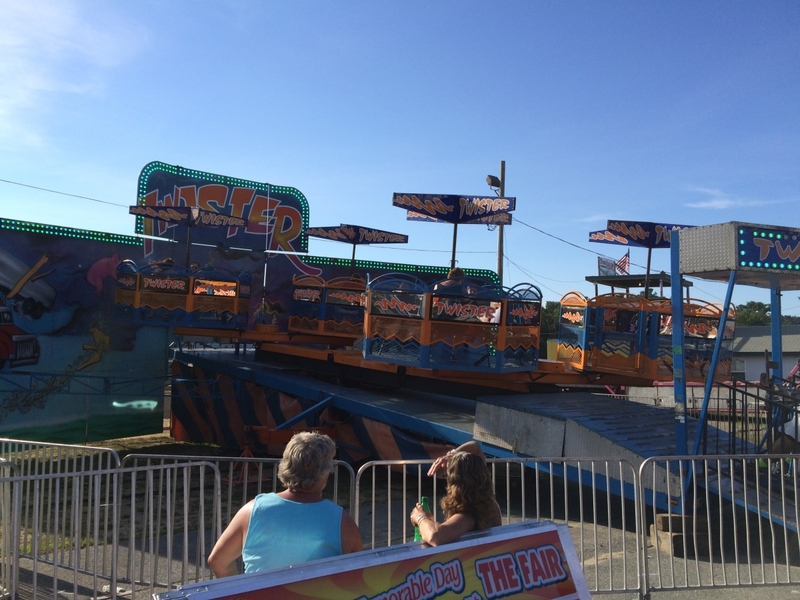 Fiesta Shows provided the midway. 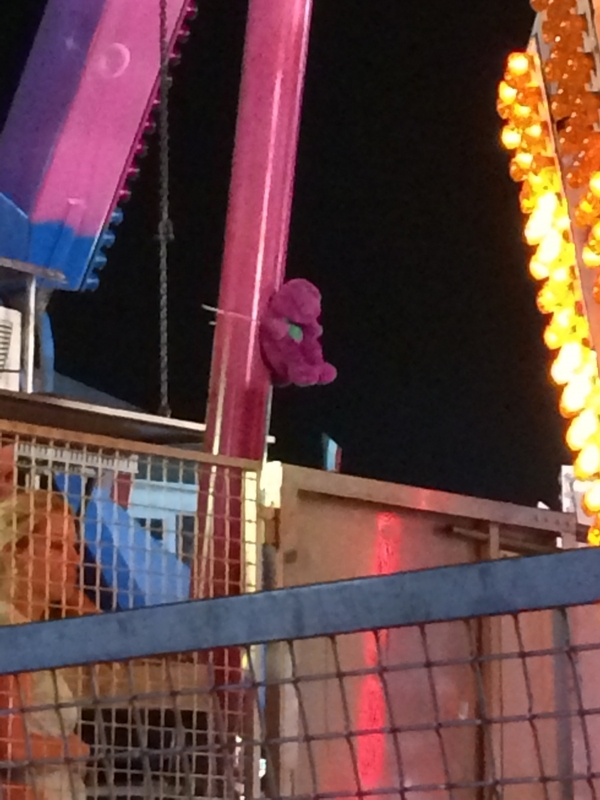 The newest ride on the midway actually counts as a coaster in my book. Great fun for its size. 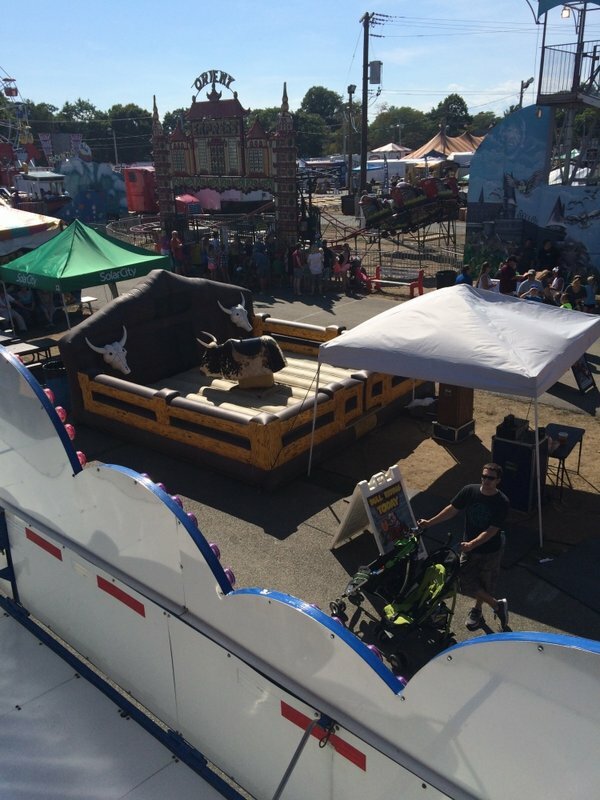 There's also the good ole kiddie coaster and a mechanical bull. 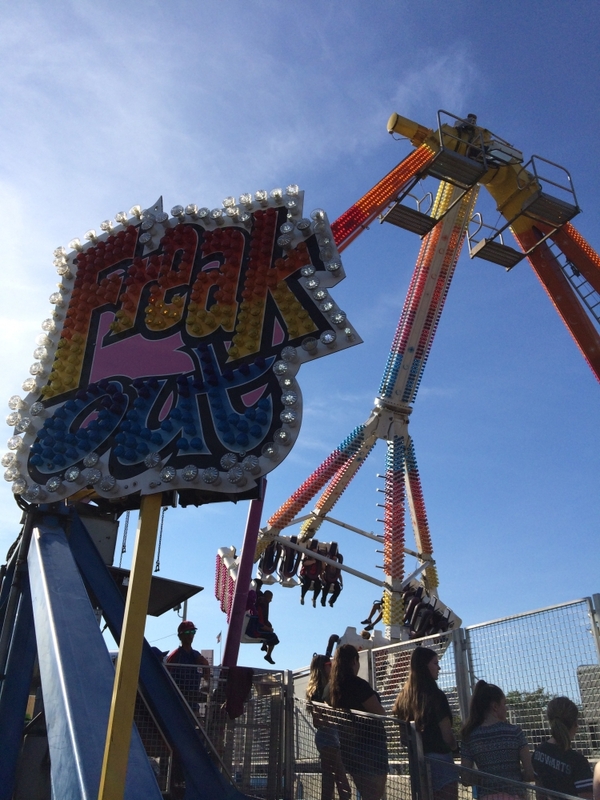 Freak Out was the most popular ride. 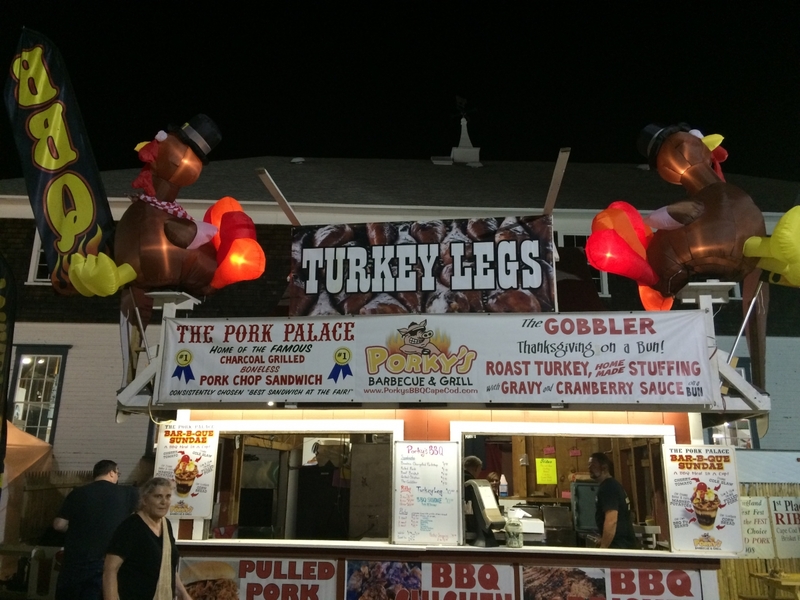 While everything else was a walk-on, this had a half hour wait towards the end of the day. This is still one of the most intense frisbees out there. Drown the (Rude) Clown is the most profitable game at the fair in my opinion. 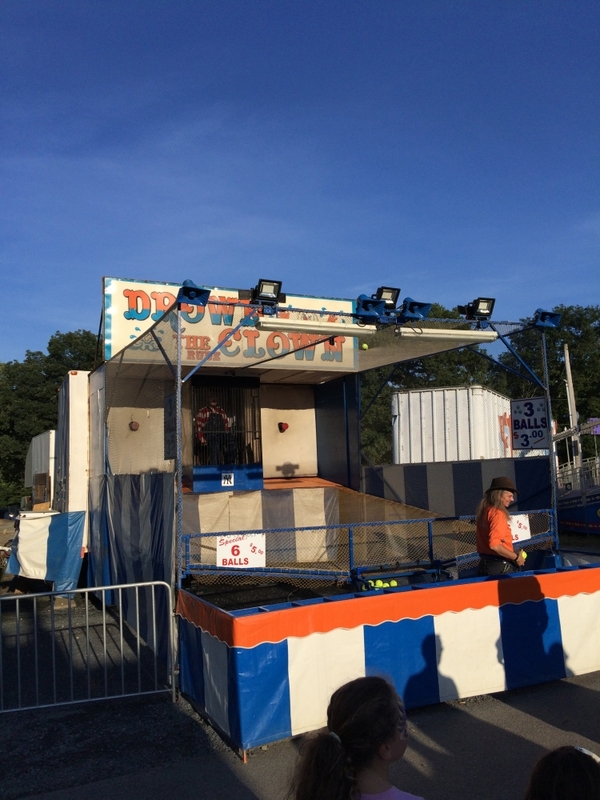 An incredibly rude clown heckles insults at people walking by and incites the crowd to pay to dunk him. No one is safe from his insults; he looks for the young, the nerdy, the fat, the old, the dumb, the young, etc. 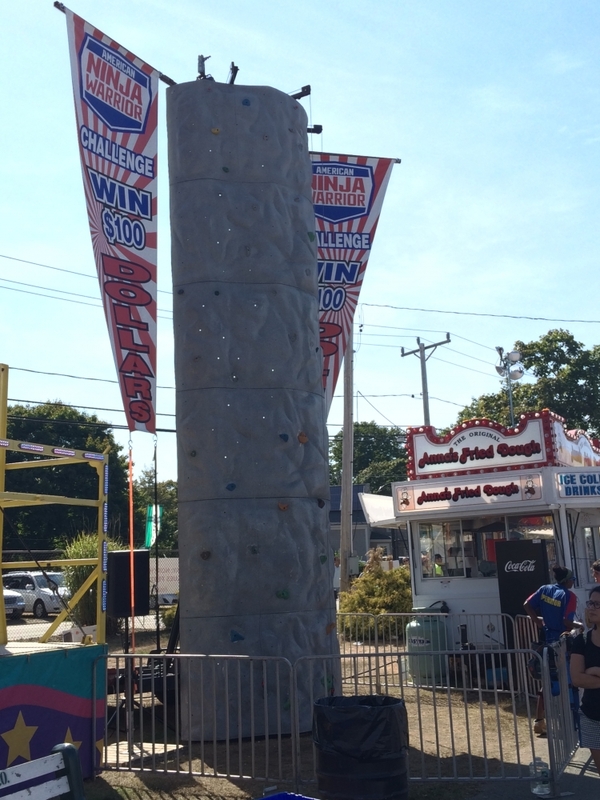 Good luck making it to the top when the footholds disappear and the ones you do have are greased. 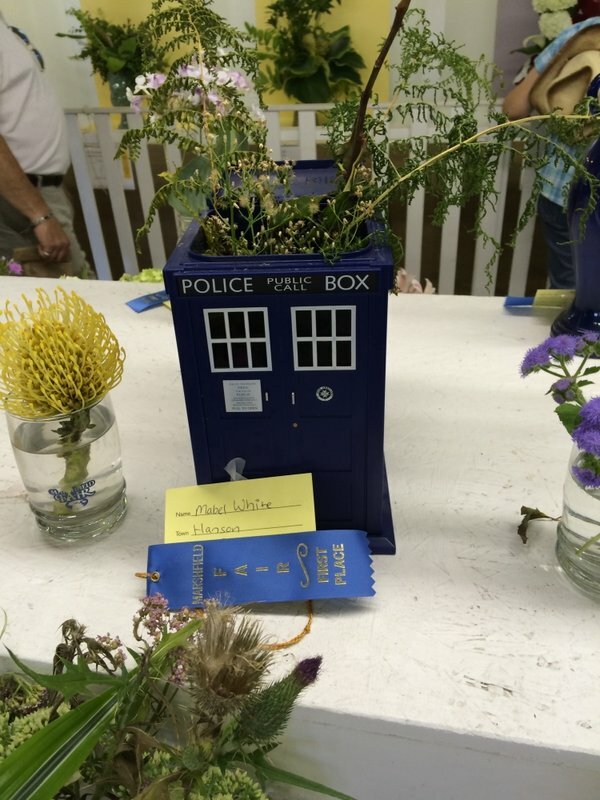 There were also flowers and other natural stuff. 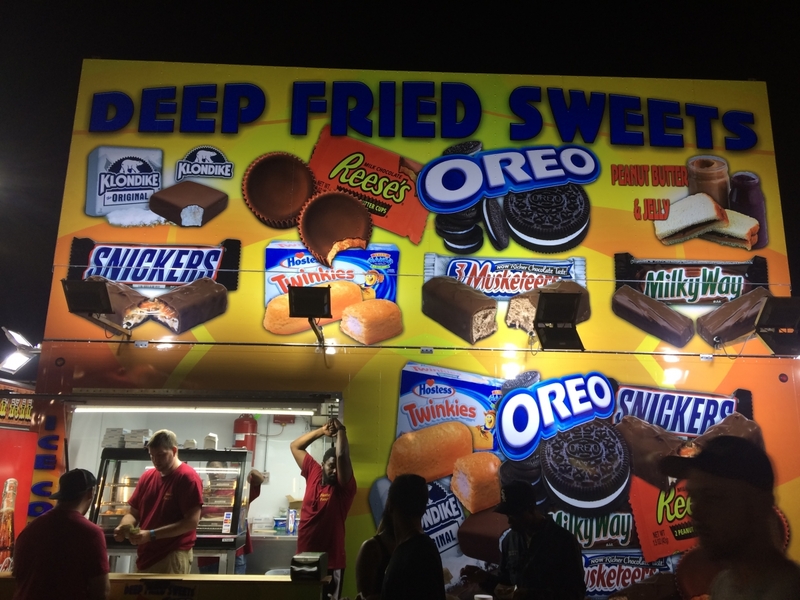 I prefer the unnatural stuff, like things that don't seem possible to deep fry. I went with Thanksgiving on a bun and felt like a turkey after. 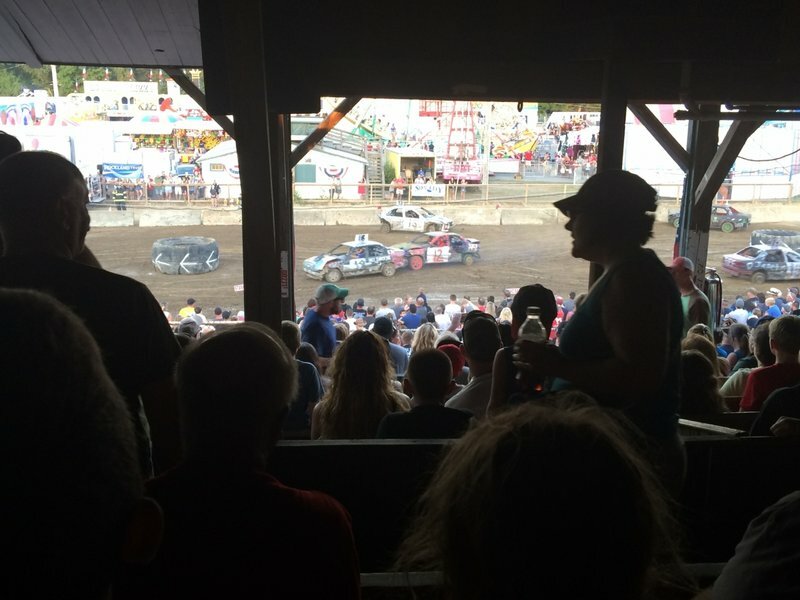 The most popular event at the fair was the demolition derby. The whole crowd acted like savages, cheering whenever a car flipped over or was t-boned. Me included. 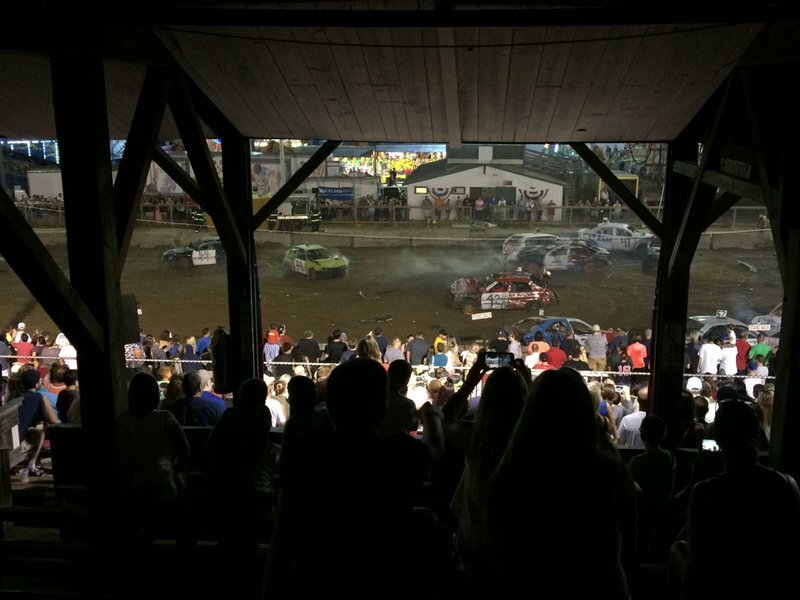 Looks like a successful derby. The winning car could only move a few feet at the end, but it was more than the other cars. This was a crazy himalaya. 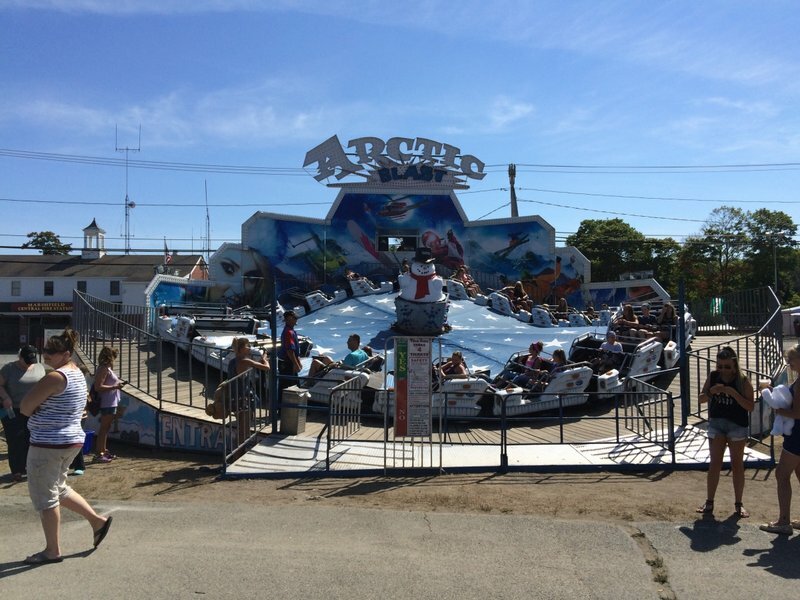 Arctic Blast had powerful laterals, some air time, ran forwards and backwards, and had an insanely long cycle (it lasted 2 full songs = 7ish minutes). Yes you guessed it, more spinning. The slide was a disappointment. Usually they lube these up quite well, but this one was dry and slow. This ride started off tame, but the second half was fast, powerful, and nauseating. 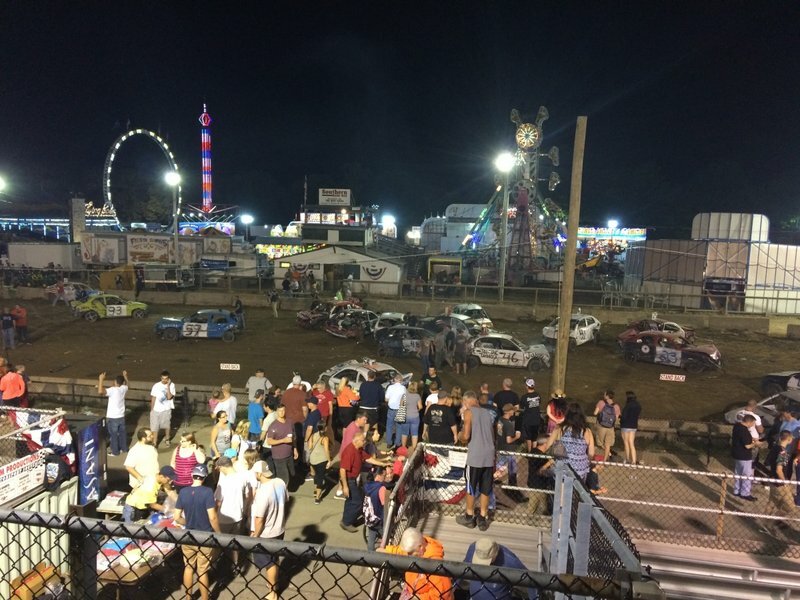 And I'll leave you with this shot of the midway and the demolition derby arena. For the longest time, I had wanted to make it to Montreal to visit one of the largest parks near me that I hadn't visited, La Ronde. On Labor Day weekend, I finally decided to make the trek across the border. 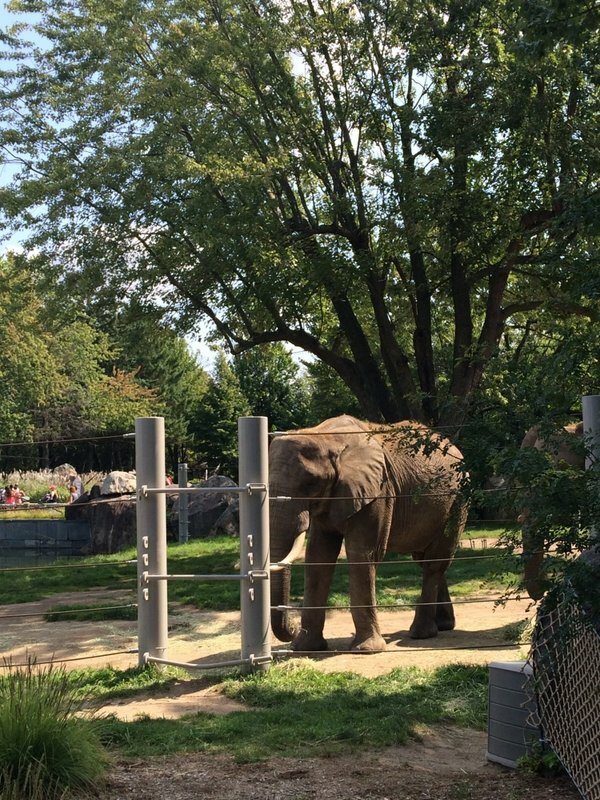 On the way there I made a pit stop at a park that (as far as I can tell) has not had a trip report of it, the Granby Zoo. 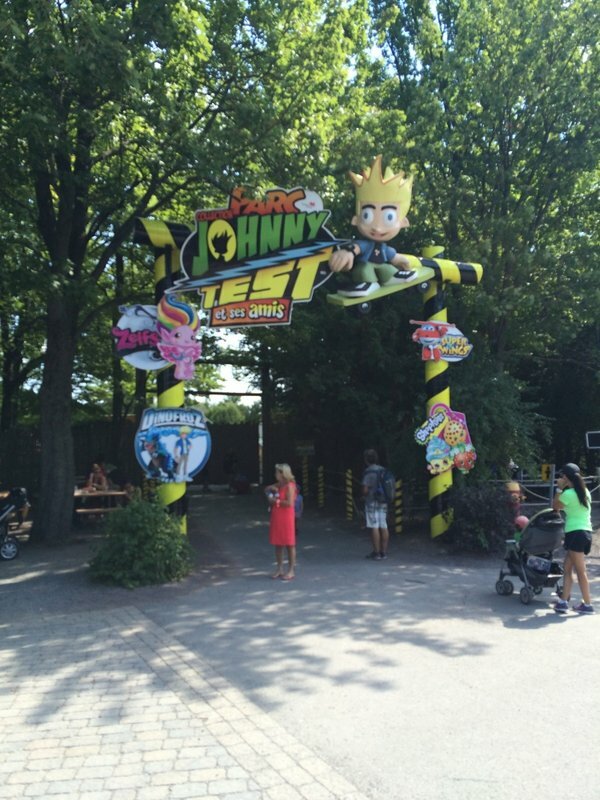 Primarily a zoo, and a huge one at that, the park also has a water park and an amusement area themed to Johnny Test. I remember watching Johnny Test on Saturday morning cartoons back in middle school, but the series only lasted 2 or 3 seasons with little fanfare. 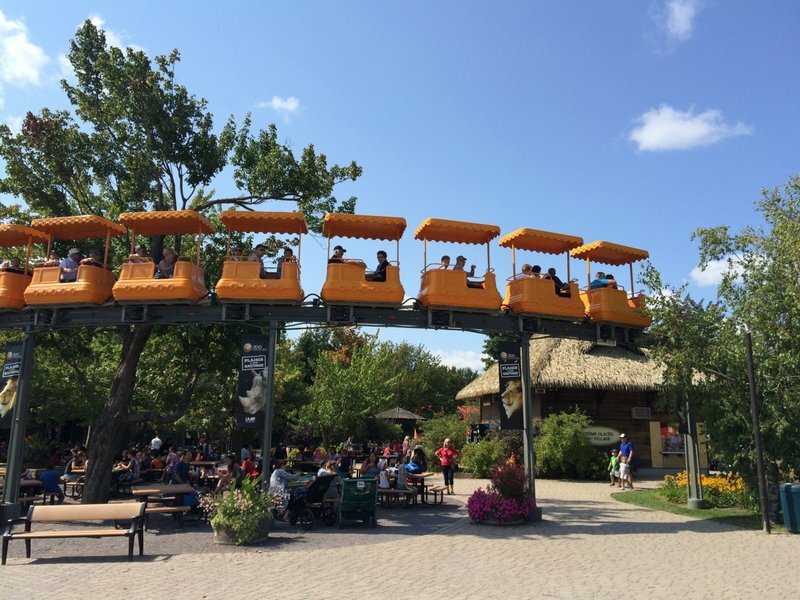 I'm kind of shocked the series got an entire amusement area themed to it, but maybe the IP is more popular in Canada. 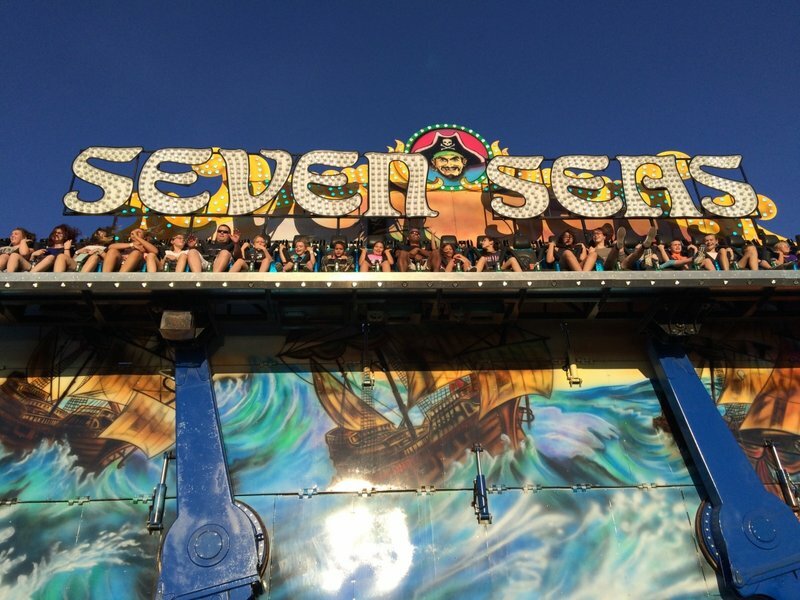 Anyway, the area is home to some standard carnival rides (swinging ship, ferris wheel, bumper cars, kiddie rides), a train, and a solid family coaster in Python Panique. It should be noted that the coaster is an additional upcharge. 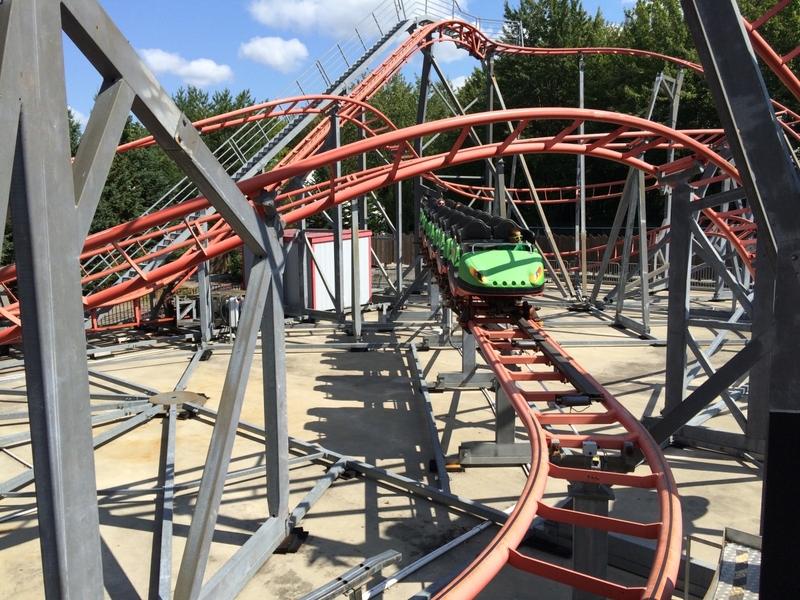 Python Panique is a L&T Systems compact coaster formerly known as Anaconda. As far as family coasters go, it's a pretty fun coaster. 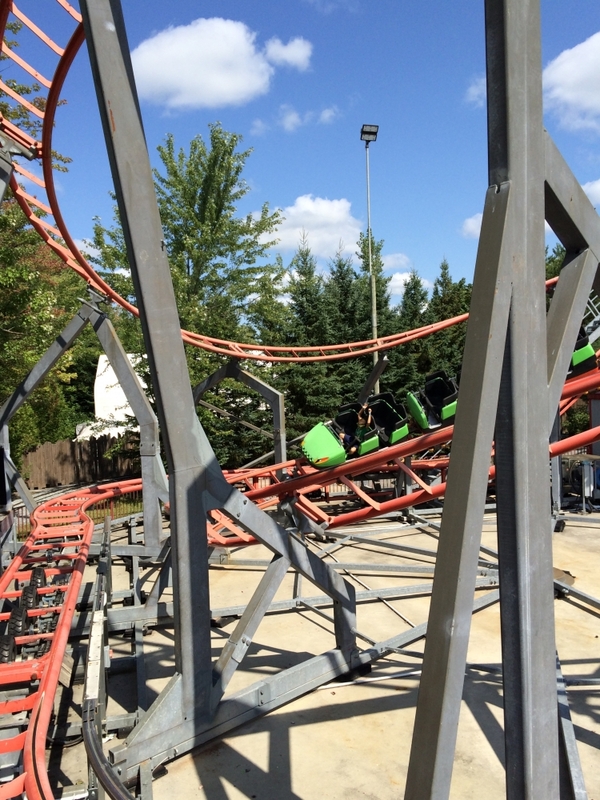 The first drop is decently fast and the ride is mostly smooth except for the final turn which jackhammered really badly. Once I knew it was coming, I could brace myself appropriately and not smash my knees. The park gave two laps per ride and the ride was a walk-on for both of my rides. One other interesting attraction at the zoo was a monorail named the Orient Express that traveled through about half the zoo. It was a dream come true since I could see all the animals from above without expending any energy in the grueling heat. The park also stopped the monorail in a few spots (like above the tigers) to allow everyone better looks and time to take some photos. A final note is that all employees that I came across were bilingual in both French and English. Despite my bumbling attempts at French, I ultimately had to use English for most interactions. 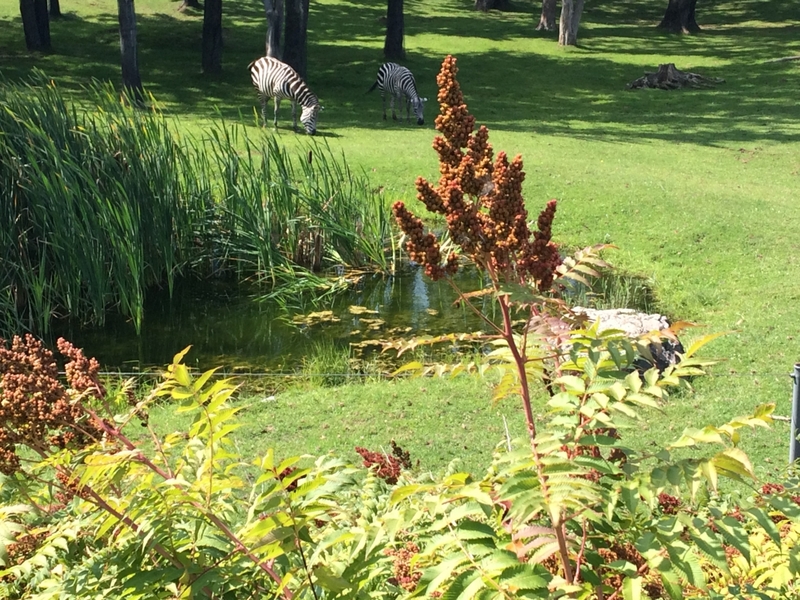 The Granby Zoo! 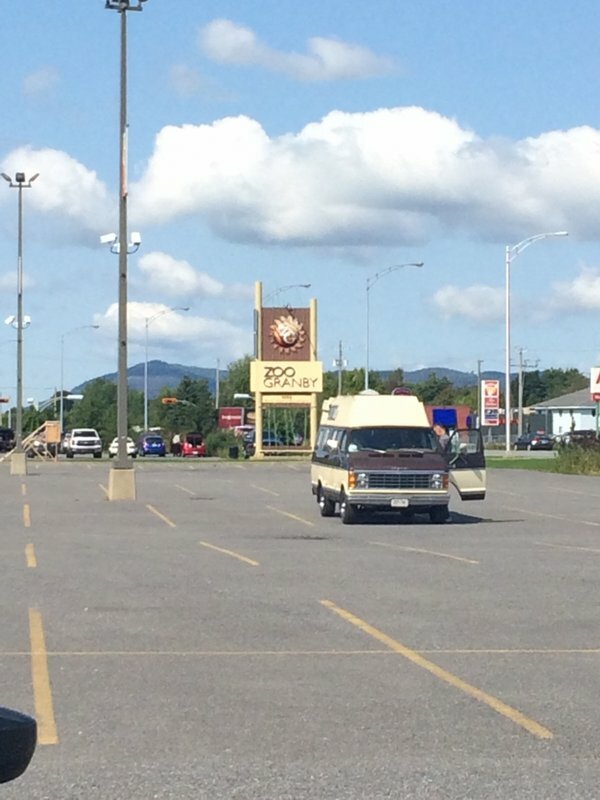 I could have taken a closer photo, but I prioritized getting into the park. Unfortunately the Johnny Test amusement area opened 2 hours after the rest of the park. Most rides were free, but the roller coaster, swinging ship, and monorail were all upcharges. 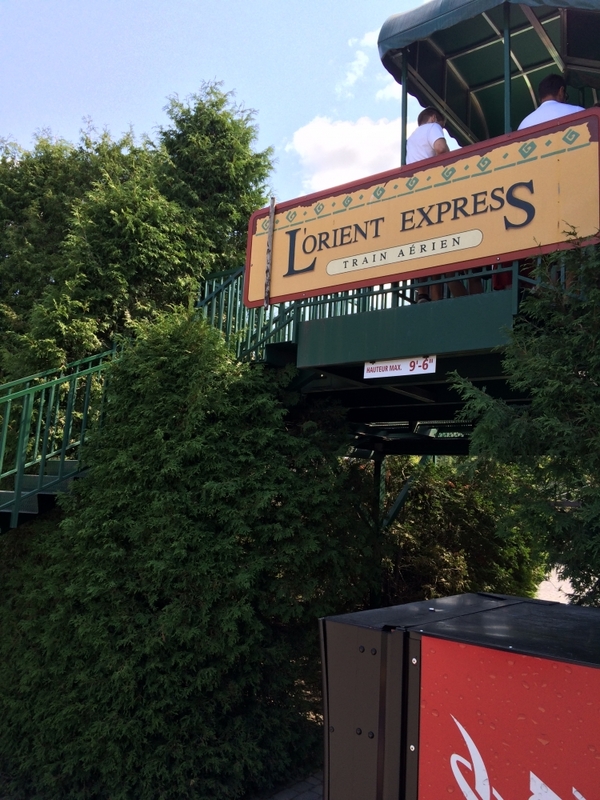 Until the amusement area opened, I took a ride on the Orient Express monorail. 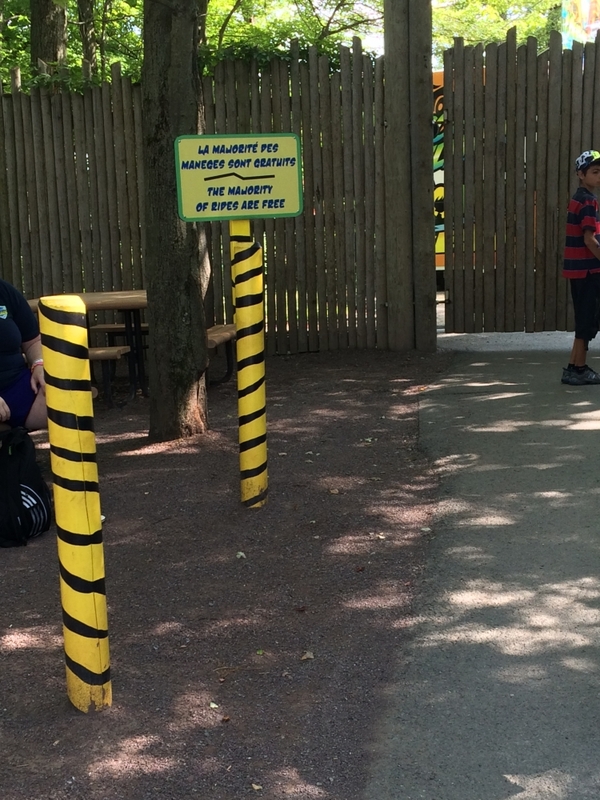 More zoos should get these. This was an incredibly awesome and lazy way to see the animals. I really liked how the monorail paused in this area to allow for better pictures. 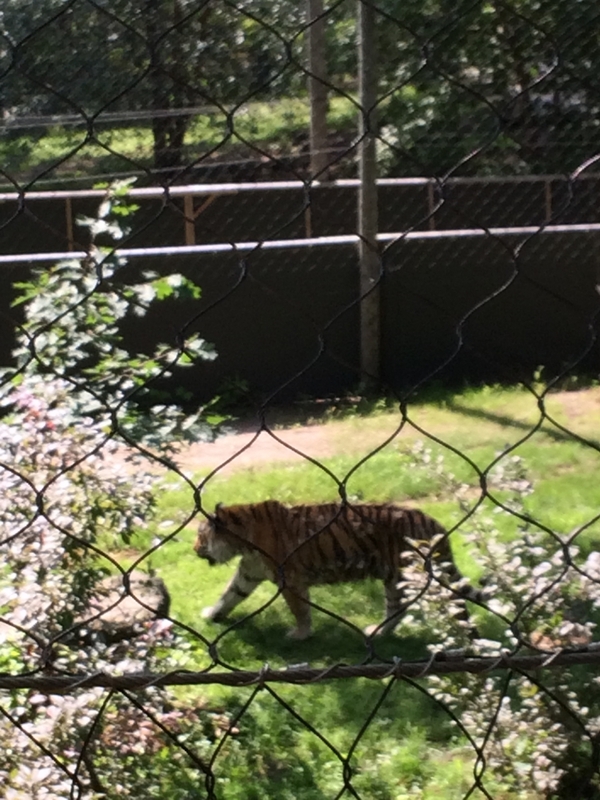 The zoo side was one of the best zoos I've visited. The animals were separated into their native lands. The non-carnivores also had huge habitats, many of which were shared with multiple species. 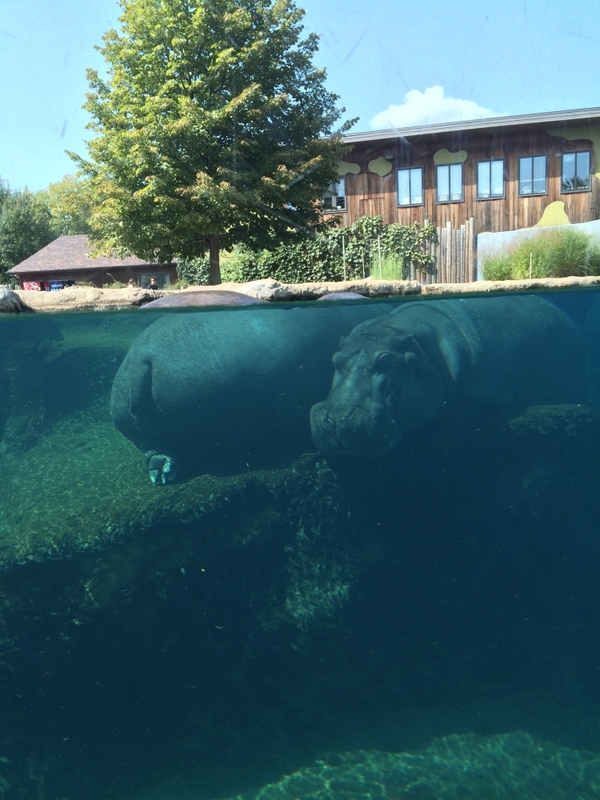 My favorite exhibit was the partially above, partially underwater hippos. 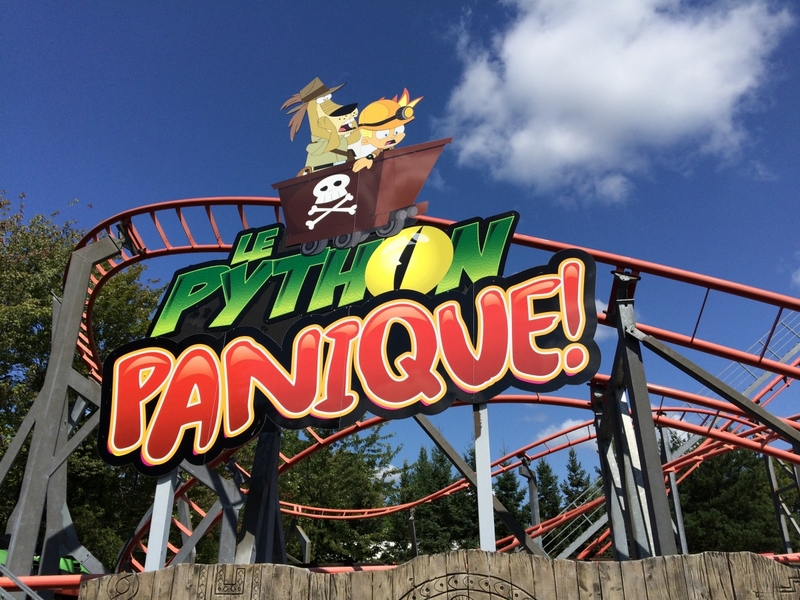 Enough with the animals, time for the main attraction, the Python Panique family coaster. As far as family coasters go, this was a solid ride. Nice first drop and relatively smooth. I say relatively since the final turn for whatever reason had nonstop jackhammering. Every other part was glass smooth. The park gives two laps per ride. 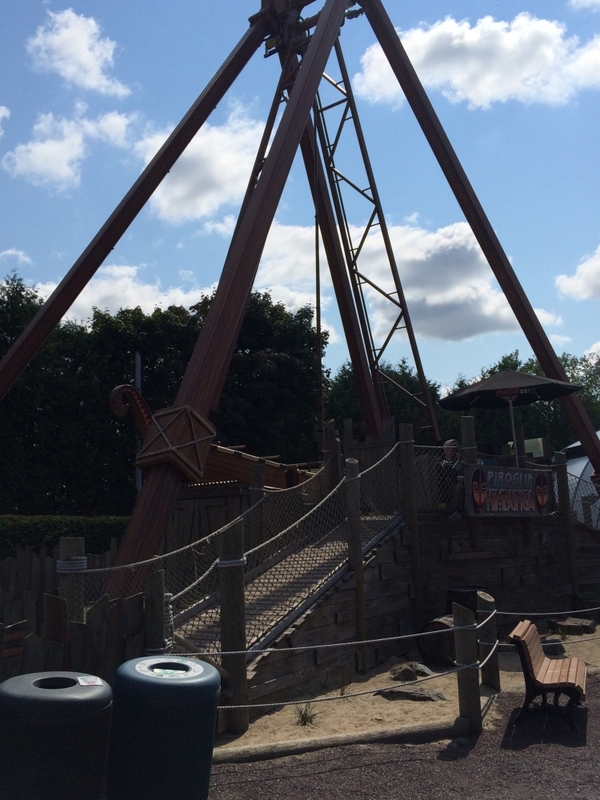 The swinging ship was probably the park's most thrilling ride. 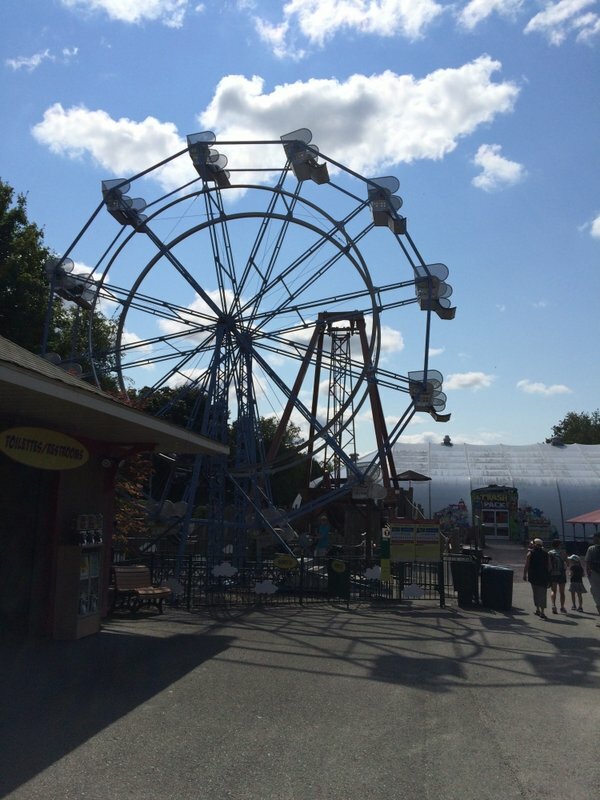 Didn't get a chance to ride it, but I imagine this wheel could give decent views of the zoo-side. 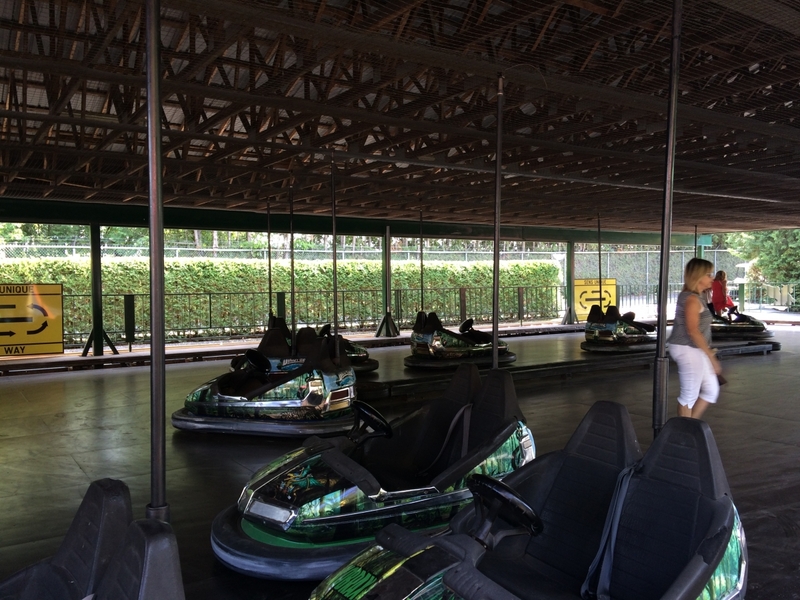 These bumper cars were some of the fastest and hardest hitting I've come across. Only downside was the few riders. 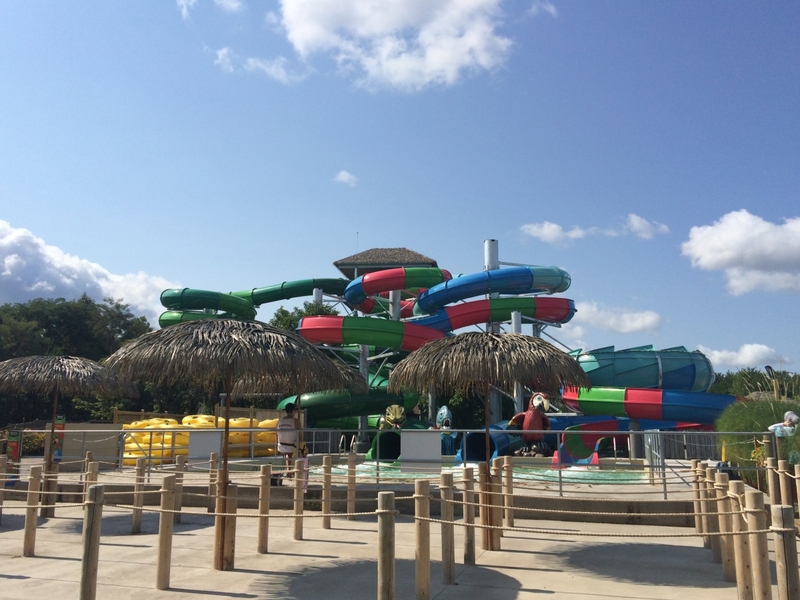 These water slides were the zoo's newest attraction. Have really enjoyed this report so far. Good to see some parks that aren't on the normal circuit. I have family in New Hampshire and spent many summer days at Santa's Village and Story Land when I was younger. My first visits to Story Land were long enough ago that Bamboo Shoots didn't yet exist, though I'd grow to love it in the mid 90s! I got wet on Dr. Geyser's, lost a hat on Rudy's Rapid Transit, earned one of my earliest coaster credits on Polar Coaster, and to this day I'm upset that Voyage to the Moon no longer exists. It's been fun to revisit a couple parks I'm less likely to venture to as an adult, though Roar-o-Saurus is tempting! 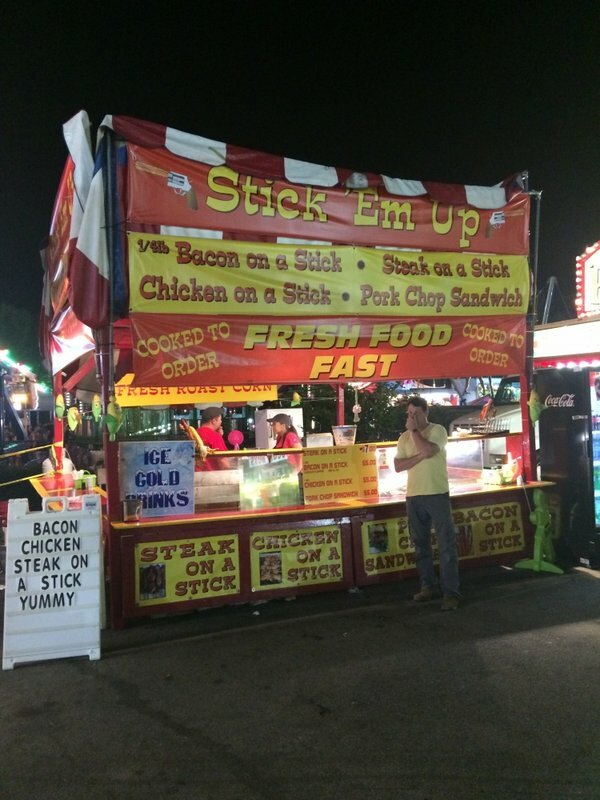 All the fried stuff at the fair, though, I can do without! Well, Johnny Test lasted for a lot longer than 2 seasons, but at least it got us a good-looking coaster. Half of my posts on here are of me talking about roller coasters, but without me actually having rode them. I hate this. The Great Zo wrote: Have really enjoyed this report so far. Good to see some parks that aren't on the normal circuit. 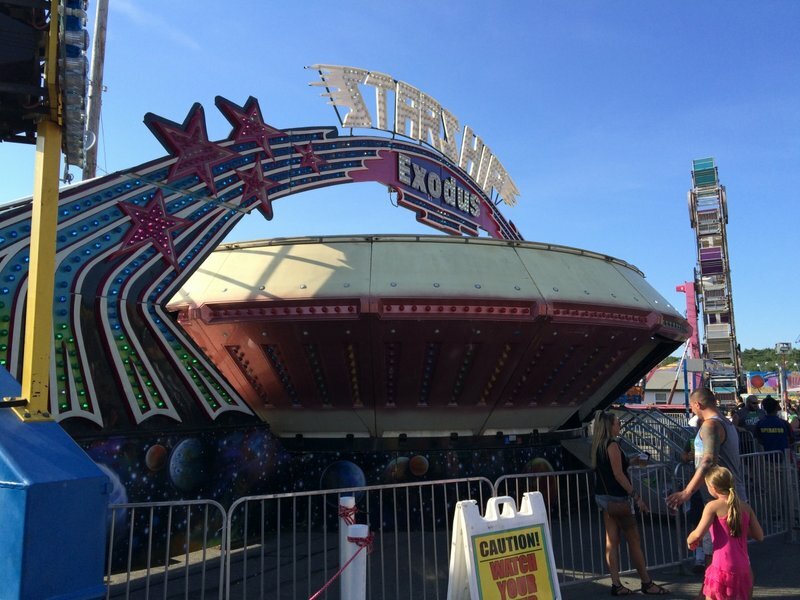 Unfortunately Voyage to the Moon closed before I was brave enough to ride it. That massive cannon freaked 5 year old me out. Now that dome just doesn't look right without the cannon. I've seen YouTube videos of it but I still regret not riding it. Blatch wrote: Well, Johnny Test lasted for a lot longer than 2 seasons, but at least it got us a good-looking coaster. It went even longer in Canada, but it's still a weird IP to me. Is that apple core guy from the show? Does the python panique have constant onboard whip sound effect noises? That would give it the ultimate Johny test theming! Please wake up. We are trying a new technique. We don't know where this will show up in your dream, but we hope this message will reach you. You are in a coma. Please wake up. Your family needs you. I always like seeing TRs about places I know nothing about--thanks for sharing. ^ Wow I missed those the first time. 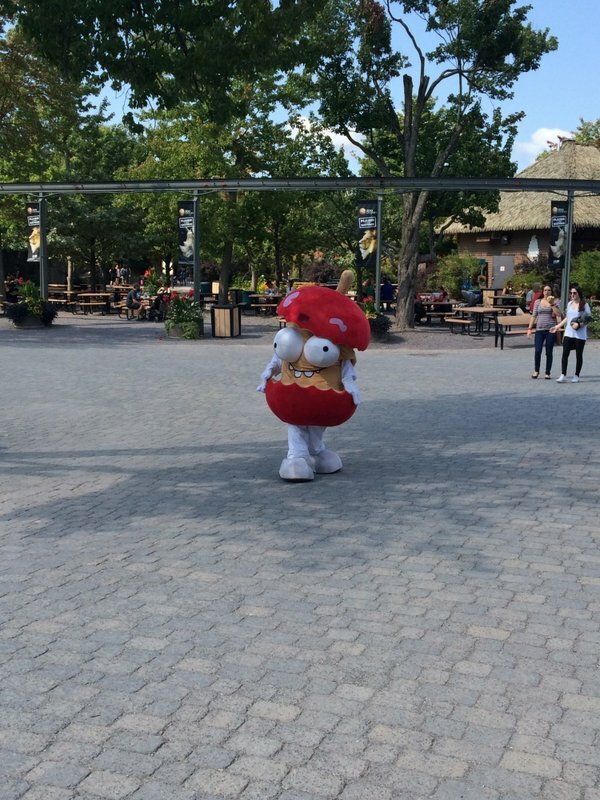 I was too distracted by the Apple Core mascot. OmnipotentSeal wrote: Does the python panique have constant onboard whip sound effect noises? That would give it the ultimate Johny test theming! No soundtrack. I actually can't recall any music being played in the theme park area.